(Compiled from reports by Hugh Morris at the UK Daily Telegraph and Tara John at Time .com) – Hurricane Irma has devastated several Caribbean islands, with at least 24 fatalities and untold billions of dollars in property damage in one of the strongest storms ever to strike the region. Those hardest hit include Barbuda, both the Dutch and French sides of St. Martin, the U.S. and British Virgin islands and Anguilla. Officials and residents in some of those places expressed disappointment with the amount of foreign emergency assistance they were receiving and what they considered to be a shortage of international media attention. This sovereign nation of two islands (Antigua and Barbuda) was the first to be hit by Hurricane Irma on Wednesday. Barbuda, the less populated, was by far the worst hit. The storm, which packed winds of up to 185 miles an hour, destroyed 95% of the buildings and left half of Barbuda’s population, of around 1,400, homeless. 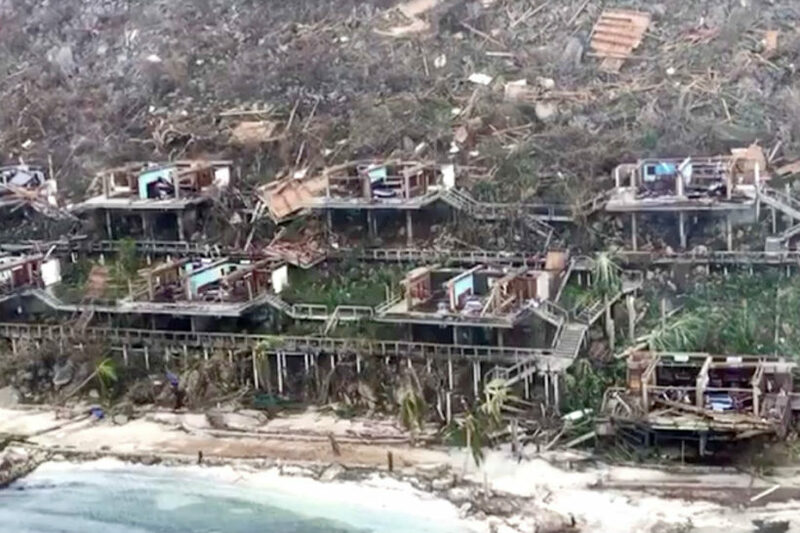 At least one person, a two-year-old child, is confirmed to have died in the storm and it will cost an estimated $100 million to rebuild the island. …“The large international countries have not done anything,” Sanders said. “We’ve had telephone calls of condolences and worry and concern, but no practical help to deal with the situation. The big countries you would have thought would have come forward to offer a hand; they haven’t done so yet. So we’ve had to deal with it ourselves.” … “This is a humanitarian crisis of enormous proportions,” Sanders said. 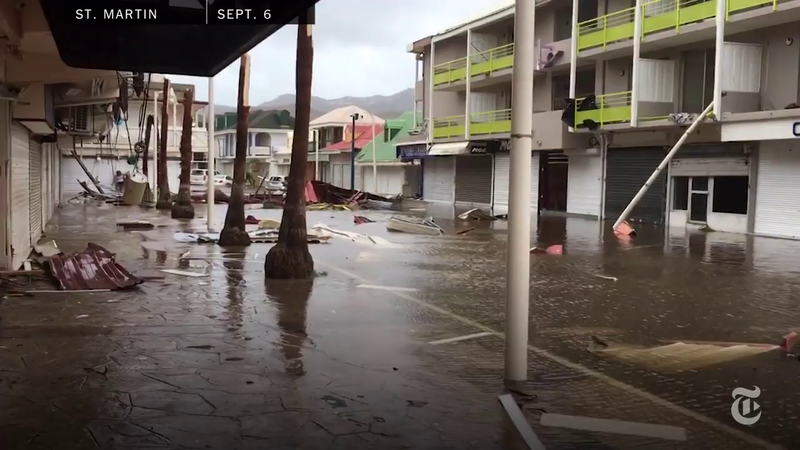 In a video posted on Facebook, Kenneth Mapp, the governor of the U.S. territory, described the scale of the devastation and updated on the relief and recovery effort. The governor said work was underway to restore communication services. Other short-term priorities are cleaning up debris, distributing tarpaulins to cover damaged roofs, and supplying food and water to those in need. 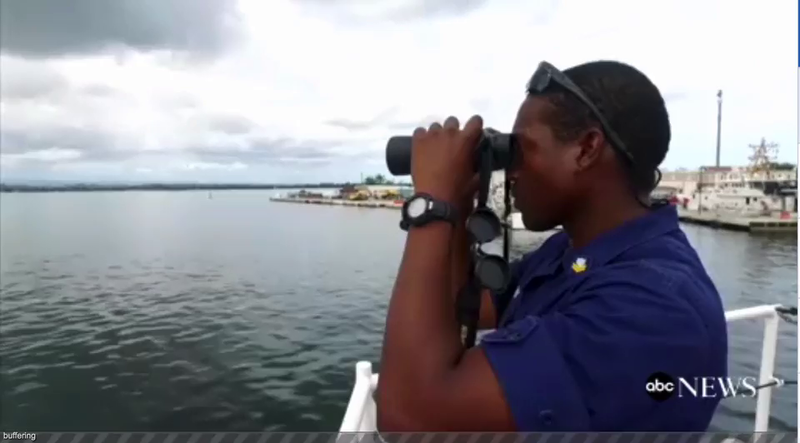 The coastguard was clearing the harbor and authorities had managed to clear the Wilson Airport runway, allowing large military aircraft to deliver relief supplies, Mapp said. The U.S. government had been “awesome in its partnership before this event, during this event and now as we work for our recovery,” Mapp said. Irma crashed into Saint Martin around six hours after striking Antigua and Barbuda, wrecking homes, flinging cars and uprooting trees as it whipped through the territory. The island is split into two parts, which are overseen by the French and Dutch governments, and has a total population of around 80,000. “It’s an enormous catastrophe. Ninety-five percent of the island is destroyed,” Daniel Gibbs, the president of the French St. Martin territorial council, said in a radio interview according to AFP. “I’m in shock. It’s frightening,” he said. Boats were stacked up on land, homes flattened or under water, and streets turned into gushing streams in the Dutch and French territories that share an island. There is no power, running water or gasoline. Dutch officials have said that as much as 70 percent of the homes on the Dutch side of the island were badly damaged or destroyed. Dutch and French officials said the current death toll of five was likely to rise. U.S. officials deployed C-130s to evacuate U.S. citizens from the French Caribbean island of St. Martin to Puerto Rico. Nearly 160 were evacuated on Friday and approximately 700 more on Saturday. An estimated 5,000 Americans were believed to be trapped on the island as of Saturday. The Netherlands and France have sent military support, emergency food and water to their territories. Looting, gunshots and a lack of clean drinking water were reported on the French side of St. Martin, which is home to five-star resorts. Assessment of the destruction was still underway Friday. The Caribbean Disaster Emergency Management Agency said 90% of government buildings and business structures on the island suffered damage, along with the main water supply and about 90% of the electricity infrastructure. The airport runway and most roads leading to the airport had been cleared of debris, and British troops had supported refurbishment of two shelters damaged during the hurricane, the agency reported. 2. The first paragraph of a news article should answer the questions who, what, where and when. List the who, what, where and when of this news item. 3. Which Caribbean island was the hardest hit by Irma? 4. Which two countries each control half of the island of St. Martin / St. Maarten? 5. In addition to the destruction and then lack of supplies on St. Martin, what other challenge did people there face after the hurricane? 6. The islands have many luxury resorts and villas. Do you think the governments of these islands were adequately prepared for a major hurricane? Explain your answer. 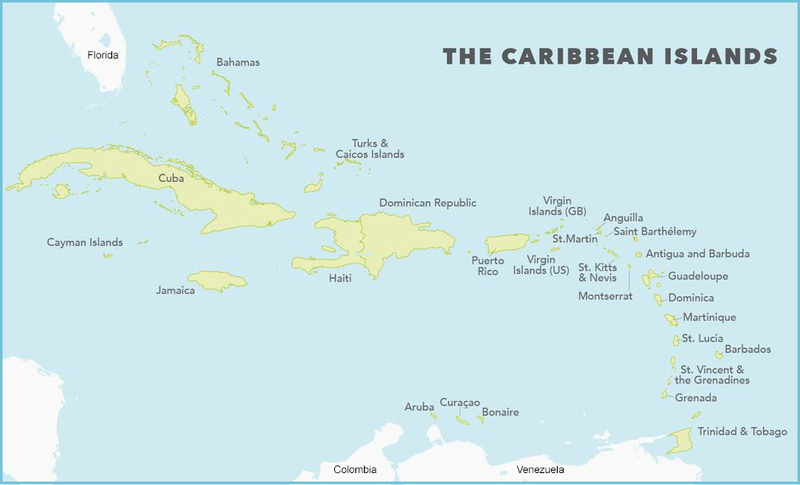 Read about the Caribbean Islands at wikipedia. Boston chef Daniel Poe and his wife were on St. Martin during the hurricane. Read his story at bostonherald.com. Two residents from St. Martin island’s two nations, the French St. Martin and the Dutch St. Maarten, describe Irma’s destruction.